This ground floor room features two single beds, full bath & cable T.V. Quite spacious, with room for 1 or 2 cots if required. This room faces the back yard area of the property. This second floor room features a double bed, full bath, cable T.V. This spacious room looks toward the back of the property and also has an 8′ window facing the church. 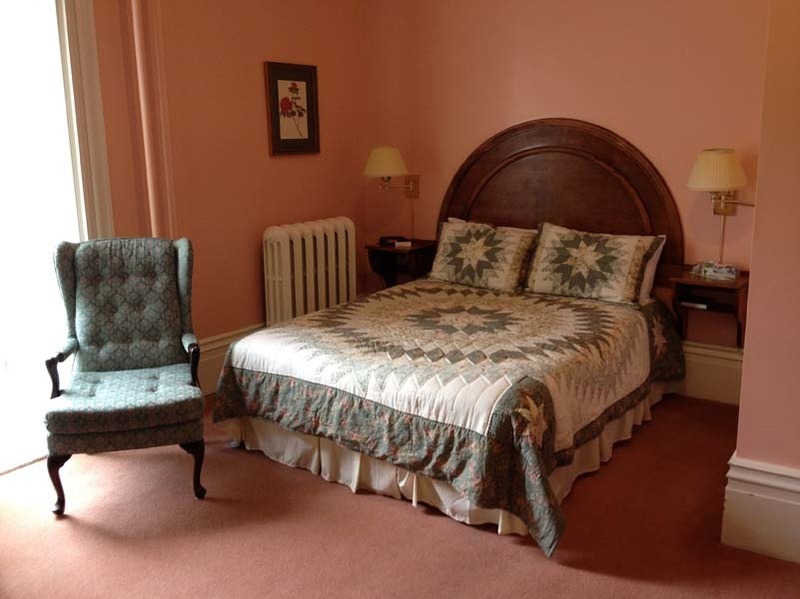 This second floor room features a queen size bed, full bath, cable T.V. The room features 10′ ceiling of pressed tin and has an 8′ window facing the church and another facing the front of the property overlooking the maple tree lined walk. 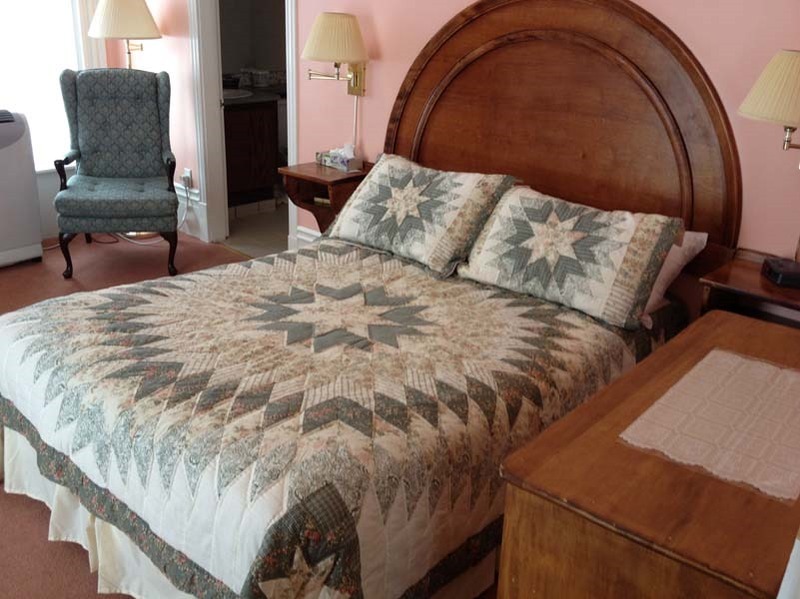 This very spacious second floor room features a queen bed, full bath and cable T.V. 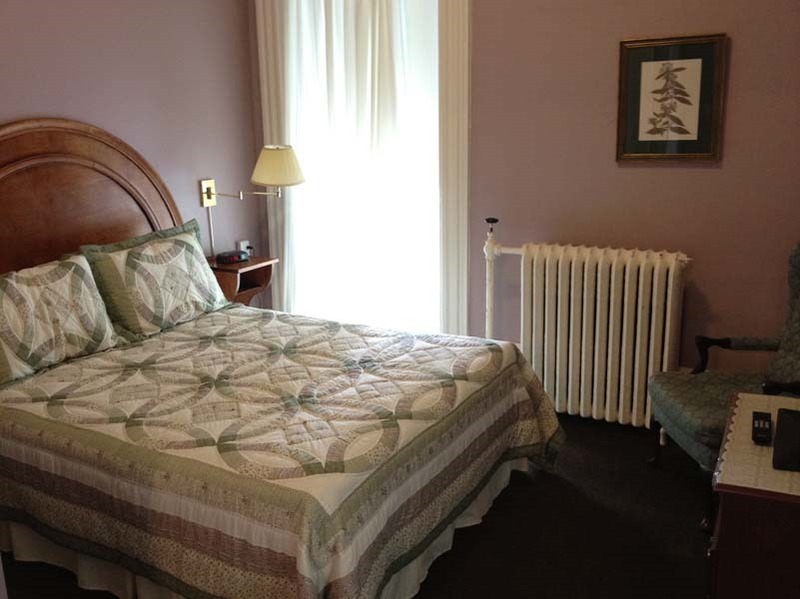 The room has an 8′ window overlooking the front of the property; down the maple tree lined walk.